Do You Really Need a Firewall Application for Security? Windows is the most appealing comprehensive operating system powered by Microsoft. Today, it is the most desirable computer software. Windows comprises of almost all of the features that any computer user yearns for. One cannot find such a complete platform while using Linux and Mac. The newer versions of Windows come with a unique, thrilling feature – the Firewall application. This can let the user enjoy a secured home network with an extra topping of online protection. If you want to get the bare bones of a safety system, you must pair firewall application with a top (free would do) antivirus and pay attention to other essential security best practices. Online protection allows the internet user to surf the internet safely. Since Firewall is a built-in feature in Windows, the users do not face any compatibility issues. Furthermore, if someone is using any reliable security suite, then this suite may have its own firewall protection. This can also protect the users in many ways. Why is there a Need for Firewall Protection? What About the Third-Parties Firewall? Are the Third-Parties Firewall Always Perfect? What Lies Beyond a Mere Firewall Application? Are Firewalls Still Worth Using for Our Protection? With so many handy gadgets available, one can hardly use a single device to access the internet. People can now enjoy unlimited access to the websites. They can go through numerous entertaining and informative sites along with videos even if they are banned. 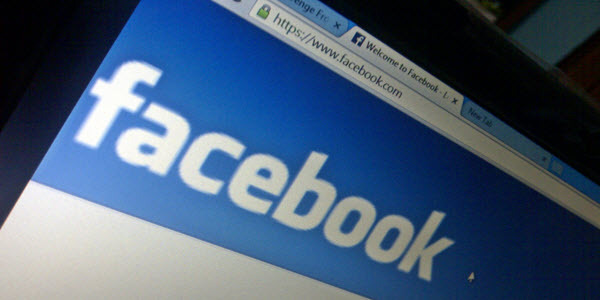 However, while enjoying such deep searching, we forget about the risks of being attacked online by some intruders. Yes, we are talking about the cyber-attacks! At this point, you may say we have potent and robust protection against all this chaos via Wireless Routers. No doubt, these routers are efficient enough. With the Network Address Translation (NAT) technology, they assign a new IP address to a user that is only visible to his local network. The latest wireless routers also have an additional security layer that further offers online security. Here, you may ask, why do we still need Firewall? Well, the wireless routers can only limit the extent of damage by the cyber-attacks. Whereas, firewalls protect the users by blocking the access of suspicious or malicious trafficking while still allowing any other valid online traffic. This gives an edge to Firewall over wireless routers. Firewall is something people are using right from the year 2001 when the Microsoft presented the first version of Windows XP. 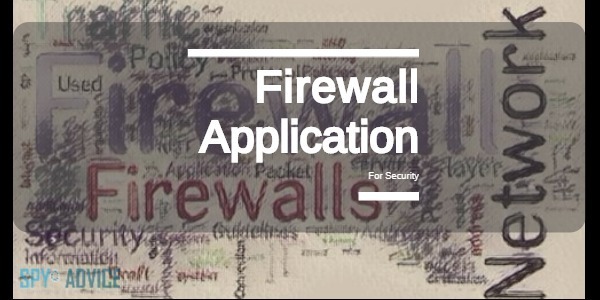 At that time, people usually have to install Firewall application additionally. With the advancements in technology, Microsoft introduced a Windows version with a built-in Firewall app. You may now wonder whether this firewall app is enough for your protection. Well, we can certainly say a ‘Yes’! The pre-installed Firewall in the modern version of Windows is an active shield protecting the users from cyber-attacks. Basically, the machine port of the computer is the point from where one can access the user. If these ports are hidden, the attackers will fail to gain access. This is called stealth. The pre-installed Windows Firewall app comprises of several features that let it efficiently hide the machine’s port. Thus, it protects the users more efficiently. Additionally, the firewall is able to detect the tricks by which the hackers can approach you. It can easily fail the hacking attempts tried even by camouflaging any reliable application or software to get connected to the internet. Nowadays, you can find various security suits that may be more efficient than the built-in Firewall application. These security suites offer their own firewall components. One of the best elements of these firewalls, not available with the Microsoft Windows Firewall, is the program control. The users can easily alter the way by which the applications can use the network. The majority of the available firewalls provide multiple configuration profiles to the user. Therefore, one can modify the rules required by different online traffics. For instance, the user is connected to a public network that has many restrictions for online trafficking. In such a case, the firewall will help the user by turning off all of its security barriers. The additional security firewalls may possess several attractions for the users. However, not all of these firewalls are perfect. Initially, these Firewalls lack the clean and user-friendly interface. They irritate the users with continuous bombardment of popup notifications and queries. Many times such firewalls confuse the new user by asking whether to Allow the program or Block. This mainly happens whenever they detect an IP trying to access via a specific If a person is not aware, then such an approach by the firewall can waste the user’s time while thinking what to do. A new user cannot detect the importance of a crucial program. Therefore, the continuous questioning by the firewall can lead the user to Block the access every time, even when a valuable program generates it. Fortunately, we now have some fantastic betterments in the section of firewalls. Symantec Norton Security Premium and Kaspersky security products are available with highly advanced firewall applications. These products offer wholly internalized program control system. Both of these firewall applications can detect, and ‘Allow/Block’ the program on their own without annoying the users. They configuration employs strict monitoring rules. They can even remove any suspicious program. Some firewalls monitor the unknown programs as per the schedule. Various personal firewall applications are also available that have reduced the number of popup notifications. Most high-end firewall systems, such as that of KIS and Norton, are available as the Host Intrusion Prevention System (HIPS). Nevertheless, some firewalls are based on the Intrusion Detection System (IDS). These systems can either be present singly or together in the firewalls. The later ones confer additional security against potential malware attacks. Most of the cyber attacks leverage the lacking in the security features. Sometimes, these vulnerabilities may arise in a popular program that is being used globally. Detecting such vulnerabilities by the relevant personnel takes a lot of time. In the meanwhile, the hackers can easily take advantage of this time lapse to attack, access, and control a computer. So, the advantage of using HIPS or IDS is that they can identify hacking attempts over the networks. Thus, they can subside a cyber attack even before it hits your system. Although, not precisely firewalls, antiviruses make up the other line of defense against cyber attacks. These software sufficiently fight back the largescale malicious attacks by destroying the malware right away before they damage your machine. CORE Impact tool is another wonderful security feature being used by a majority of web testers. This tool benefits anyone who wants to experience most firewall responses at any time. A firm ‘yes’ or ‘no’ cannot answer this question. Although, with the advanced security software and tools, Firewalls seem to lag behind in providing complete protection. Various security suites and antiviruses suffice to ensure a 360 protection of your machine against malicious attacks. Nonetheless, we cannot entirely rule out the essentiality of Firewalls. At times, you may need to downgrade your system’s protection to a minimum. For instance, if you are habitual for installing multiple software. Considering the transition of scenarios, we cannot firmly admit or deny the essentiality of a Firewall application. Although, installing advanced antivirus software may somewhat diminish the need to install separate Firewalls. Yet, you may miss your Firewall if your antivirus behaves awkwardly with your machine. It entirely depends on your own preferences whether or not you install a Firewall. The primary goal, however, remains the same – protection and security against cyber attacks!